13th Annual Dancing Feathers Youth Powwow, Arts & Crafts | Mission Dist. 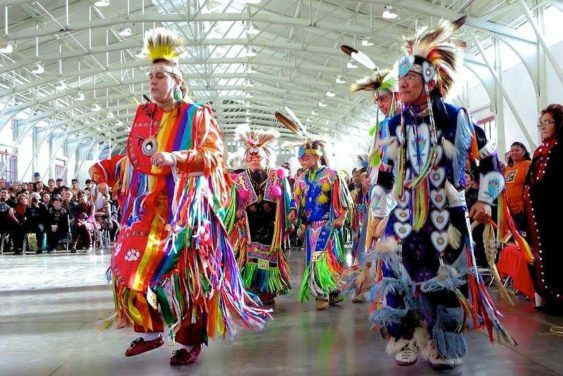 The Friendship House presents the 13th Annual Dancing Feathers Youth Powwow featuring American Indian arts and crafts booths, powwow dancers, drum groups, information booths about American Indian organizations, and food and refreshments for sale. 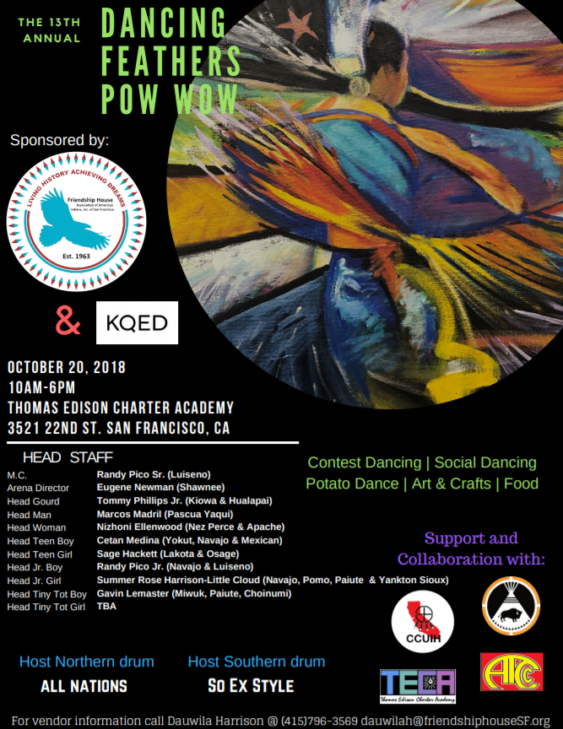 There will be a full contest pow-wow with a grand entry at 1 pm. Please note that the details and poster were submitted to us and the promoter did the provide any website for the event.